Battle in the rift valley is gaining momentum day after day. Baringo senator Gideon Moi has responded to DP ruto jibe that he is uncircumcised therefore unfit to lead Kalenjins and rift valley at large. Gideon moi said that he doesn’t care about Ruto comments and thinks the DP should show leadership skills instead of resorting to dirty politics. 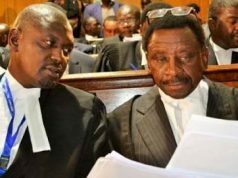 He recommends that Ruto should circumcise his mouth and learn to control what he says if he wants to be president and lead Kalenjins to old days glory. 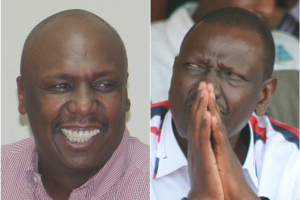 Ruto caused uproar by suggesting that at age of 52year Gideon Moi was uncircumcised. Circumcision is a big thing in the Kalenjin community and those who do not undergo the cut in boyhood are not seen as men, or leaders, are not respected and not allowed to sit with elders and make decisions, among other things.